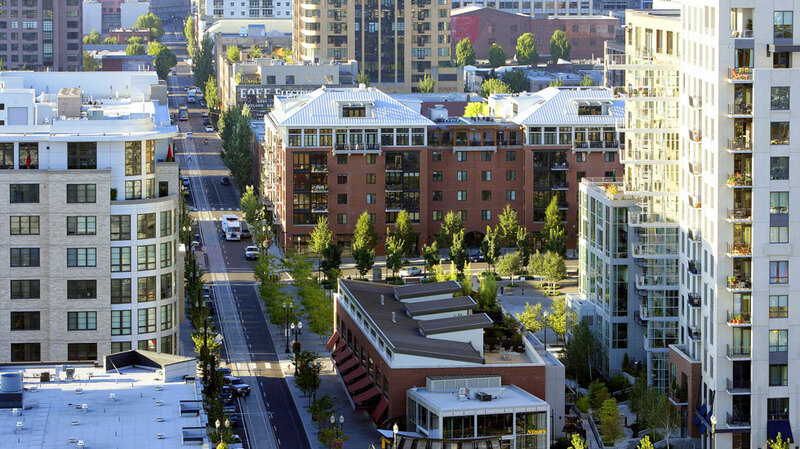 The Pearl is a small, downtown neighborhood located in the northwest quadrant of Portland. The Pearl District is a world-renowned icon of urban renaissance, straddling gentrification and revitalization with delicate balance via the incorporation of New Urbanism in its evolution. The Pearl is a young neighborhood, its most recent incarnation established in the early 1990s. Its modern persona is heavily influenced by the tenets of New Urbanism, which prizes mixed-use, walkability, diversity, human scale and conservation. Well-designed urban neighborhoods should operate as networks that increase social capital for their residents. The influence of these ideas on the development of the Pearl is apparent in nearly every block. At the street-level, buildings display visual variety, the neighborhood boasts small parks and small schools, several buildings have LEED status (meaning they are designed to use fewer resources) and residents benefit from a variety of food, entertainment, civic involvement, transportation, employment and home options. Portland Street Car, Breweries, Art Galleries, Portland Center State, Distillery, First Thursday Art in the Pearl, Salons and Spas, Yoga, bar, pilates, cycling and cross fit studios, boutiques and numerous restaurants. World famous Powell's Bookstore.